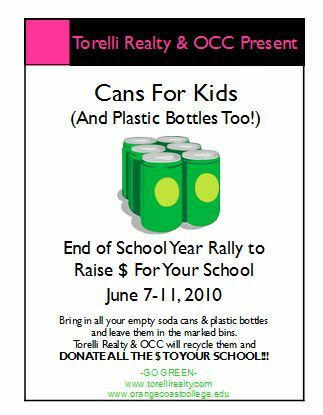 By teaming up with Orange Coast College and the Adams Elementary School PTA, Costa Mesa real estate company Torelli Realty helped to educate the students at Costa Mesa’s Adams Elementary School about the importance of being green by hosting the Cans for Kids (And Plastic Bottles Too!) Rally. After giving the kids a presentation on the 3 R’s (reduce, reuse, recycle), the students were challenged to recycle on campus and they were rewarded with money for their school. We’re so proud of the students for their efforts – in just one week they raised $65 for their school just by recycling their aluminum cans and plastic drink bottles! That translates into 1,142 beverage containers!!! Adams Elementary School plans to continue recycling throughout the 2010-2011 school year and we’re excited to help them kick it off… What great role models for us all! By doing simple things like this for the environment, the children of Costa Mesa are really pitching in and making a huge difference. Our vision is to help all the Costa Mesa schools with similar programs. Please contact Holly at Torelli Realty if you’d like more info on how to do this program at your Costa Mesa School. Thank you to OCC’s Michael Carey for his help. We’d also like to thank Dora Danesa with the Adams Elementary School PTA. Today Torelli Realty had the privilege of participating in the 2nd Annual Career Day at Estancia High School. Costa Mesa schools are the path to Costa Mesa’s future. Estancia High School Principal Phil D’Agostino has noted that more and more students settle in the communities where they attend school. 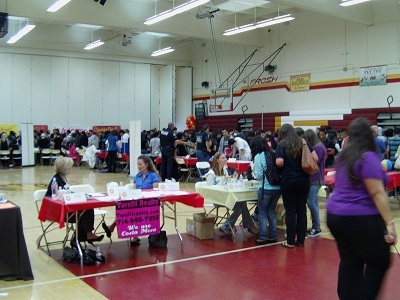 Events like Career Day are a great way for students to learn more about different career paths and opportunities. To read about more of the businesses and organizations in attendance click here. Torelli Realty’s Costa Mesa Realtors Sheri Elzinga and Tracy Wilson gave students information about the real estate industry. 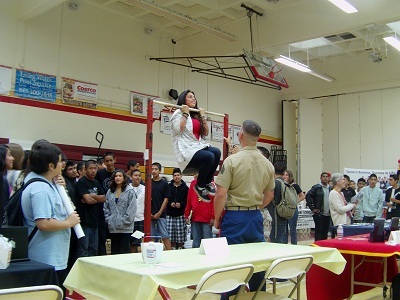 Holly Schwartz took some fun photos of the event – the Marines attracted a lot of attention with their pull up bar. Jennifer Sweet did a fantastic job planning the event. 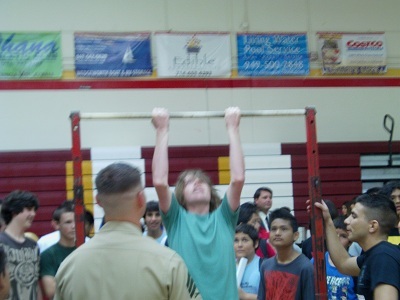 It’s inspiring to see so many motivated, inquisitive students at our Costa Mesa schools. 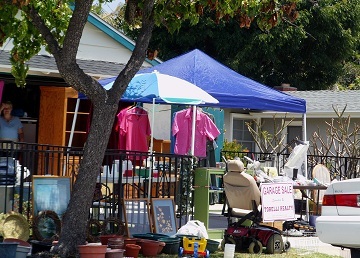 Costa Mesa Mesa Verde Garage Sale – Take Our Poll! Thank you to everyone who participated in the Annual Mesa Verde Garage Sale. This year was our largest turnout ever with 163 homes! On Saturday, May 15, 2010 the deal hunters were out in droves. By the time was over at 2pm, we heard lots of great feedback and success stories. Everyone has been so grateful for the mass advertising efforts of our Mesa Verde Garage Sales and the crowds they attract so we’d like to bring it to other nearby neighborhoods. Where should we go next? Costa Mesa Realtor Roger Turk with Torelli Realty gives viewers some simple home staging tips that are useful for real estate. Roger Turk sells real estate in Costa Mesa, real estate in Huntington Beach, and real estate in Orange County, California. Holly Schwartz, former HGTV producer of ‘My House Is Worth What?’ says, “In every market across the nation hardwood floors are a hot commodity. All the tips in this home staging video are relevant and home sellers should check with their local real estate experts to make sure the amount of money invested makes sense prior to listing a home for sale.” Schwartz handles media, marketing and home staging for Torelli Realty. About Torelli Realty: Torelli Realty is proud to offer home improvement and home staging tips to help your home’s value throughout Costa Mesa and in Mesa Verde. 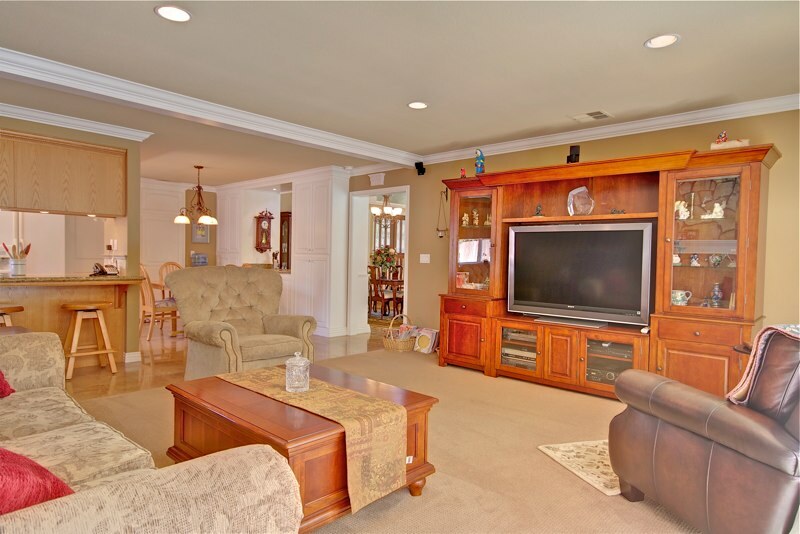 The company has been servicing Costa Mesa, CA almost exclusively for over 25 years and knows Costa Mesa homes. We also have an expert on staff, Holly Schwartz, who came to us as a producer from Home and Garden Television (HGTV) and extensively studied home values and markets locally and nationally. Holly Schwartz provides home staging tips for Torelli Realty clients. Check out another home staging video here, presented by Costa Mesa Realtor Keith Fitzgerald for more home staging tips. Feel free to contact Torelli Realty for a consultation and for all your real estate needs.